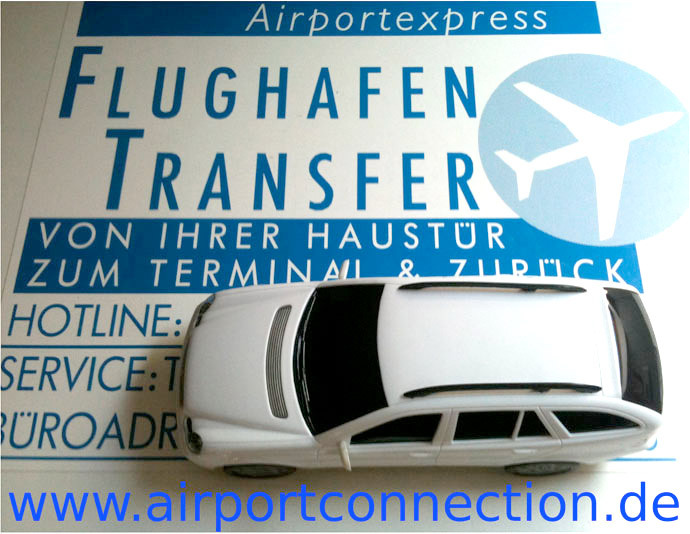 As early as 1989, when the idea of an individual airport transfer was still brand new, the operators of KVM AIRPORTEXPRESS established Germany´s first professional airport shuttle transfer service. Until then the traveler had the choice to negotiate a loan for a taxi ride to the airport or to rise at ungodly hours to trot, packed like a mule with suitcases and bags, to the train station. The goal was to create a service not as costly as a taxi ride and more comfortable than public transportation. Back then the answer was vans which collected the customers on a long tour from town to town and village to village. If you hit a bad day, you could spend more time on the road to pick up other customers than on the trip to your destination. Be certain, the convenience of the traveler is the only issue in the focus of KVM AIRPORTEXPRESS. They pick you up precisely at the desired time at the location of your choice: home, office, or grandma´s house, doesn't matter. Remember, 'Punctuality' in its proverbial sense is a German invention. Cozy warm in winter, air-conditioned in summer, KVM´s clean and comfortable Mercedes Benz station wagon cars (room for all your bags & suitcases) wait at your doorstep. You get in, resume your sleep if you want, and reach your airport, literally in a traveler's dream come true! 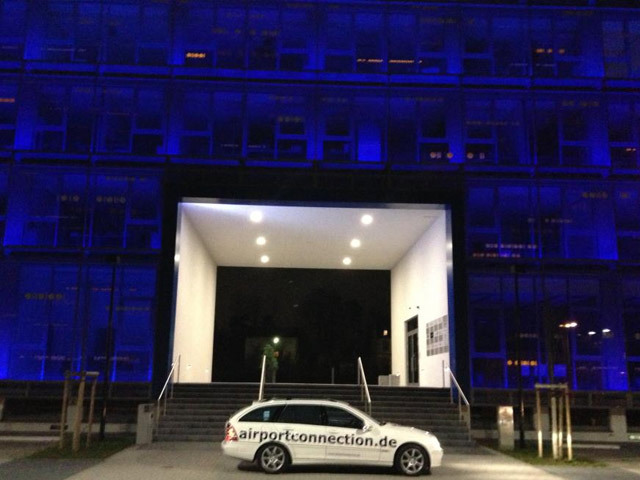 Upon your return the KVM driver awaits you at the airport´s official meeting point. Sounds terribly exclusive and shockingly expensive, doesn't it? It isn´t! You can afford it, and, it's very easy to arrange. They are holding their breath waiting for you! Please call soon! 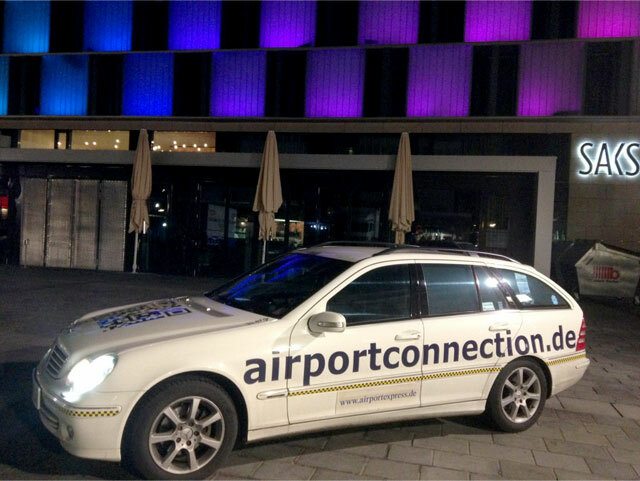 KVM, formerly known as the "K-town Van Men" and "SAAR-PFALZ-Airport-Express K-town" now stands for (in German) 'KraftVerkehrMietwagen' which in a literal English translation means an Official Registered Rental Car with Chauffeur similar to regular taxi-cabs, but less costs.